I recently received the Avengers: West Coast Avengers Assemble Premiere Hardcover and forgot how much fun Roger Stern and Al Milgrom’s run on the Avengers was. Stern’s run on the Avengers was obviously defined by his collaboration with John Buscema and Tom Palmer, but you can’t discount his early run. The issues are tightly plotted weaving multiple character storylines back and forth. 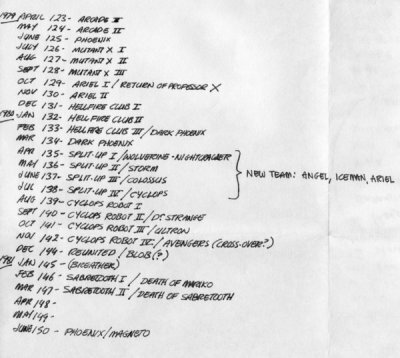 Material from Avengers #239, #243-244, and #246 were pulled into this volume and even with these bits, you can an idea of what Stern was trying to accomplish. Avengers #250 (included in complete form in this hardcover) was a prime example of Stern and Milgrom’s collaboration. 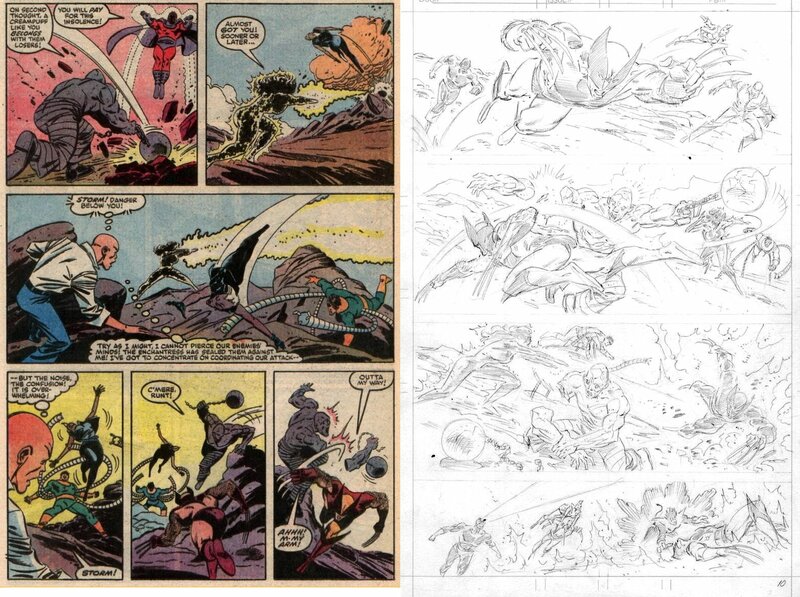 Milgrom’s penciled art is tightly defined by veteran Joe Sinnott’s inks. About halfway through the issue, Ian Akin and Brian Garvey jumped in to ink a dozen or so pages. Their efforts give Milgrom’s art a soft, polish feel and is a treat for the eyes. 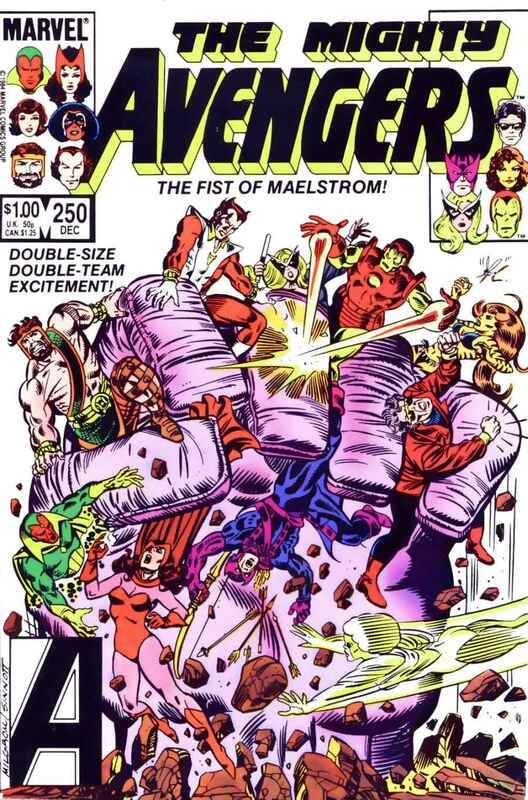 This issue takes place shortly after the West Coast Avengers miniseries and has them team-up with the East Coast branch to take on the threat of Maelstrom. In one double-sized issue, this team-up puts most of today’s “events” to shame in how well the characters are handled and how you can have a great, exciting story in 40 pages. The trick was in figuring out which Avengers I could use. 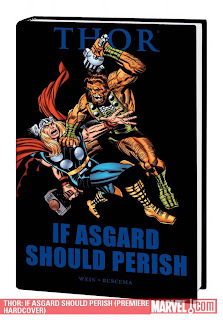 Three of them – Cap, Iron Man, and Thor – had their own books and would be unavailable for long stretches of time. Others would be pulled away for months at a time into miniseries. Keeping the right mix of characters was the biggest challenge, but after a while I managed to develop a pretty good working repertory company of heroes. 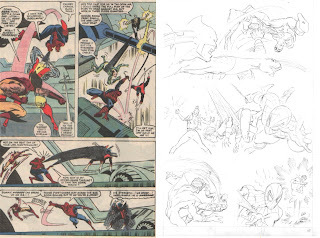 Al [Milgrom] was always a great idea man, but he was often drawing another book, as well as pulling down a day job as an editor. Because of time constraints, we never got to really collaborate as much as I would have liked. The West Coast Avengers miniseries was a roaring success and spawned a regular, monthly series. Milgrom moved over from the Mighty Avengers and took on this spin-off title. I'm a huge Bob Layton and love his take on Hercules. Had to share this house ad I found in the pages of What If #34, circa August 1982. For years, the New Mutants have struggled to hone their powers and teamwork in defense of Charles Xavier's dream of peaceful coexistence between humans and mutants. 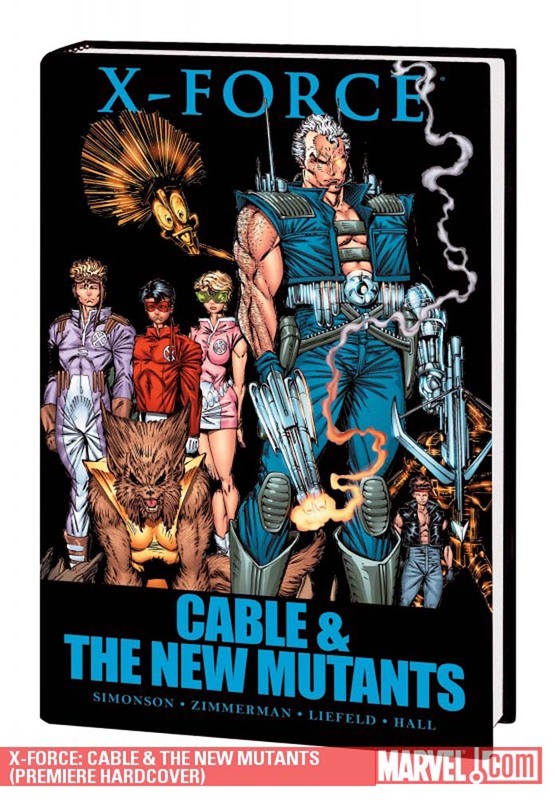 Now, with the arrival of Cable--a mysterious metal-armed, big-gunned, glowing-eyed man from the future--things will never be same...not for the New Mutants, and not for any mutants! Featuring the threats of Stryfe, Nitro, the Vulture, the Skrulls and Sabretooth! Guest-starring Sunfire and Wolverine! Collecting NEW MUTANTS #86-94 and NEW MUTANTS ANNUAL #5. To save the very universe, Thor and the Warriors Three travel through time to stop the deadly Time Twisters! Then, it's off to Costa Verde to face the new threat of Firelord--but when Thor gets mind-controlled, only Jane Foster can save the day! And when Mangog storms the gates of Asgard, Thor must rescue his father Odin from Hela herself! Witness the God of Thunder in some of his earliest battles! Featuring the threats of Ulik, Zarrko the Tomorrow Man and more! Collecting THOR (1962) #242-253. Now shipping 8 times per year, with 16 color pages each issue! “Cat People” claw their way into BACK ISSUE #40 (84 pages with color, $7.95), as Catwoman’s Bronze Age good kitty/bad kitty conversion is explored, as are the histories of Spider-Man’s love-hate interest Black Cat, Patsy Walker—Hellcat, Vixen, Atlas Comics’ cat-heroes Tiger-Man and Cougar, Marvel’s kung fu-fightin’ White Tiger and the Sons of the Tiger, and comics’ punchiest pussycat, Wildcat! 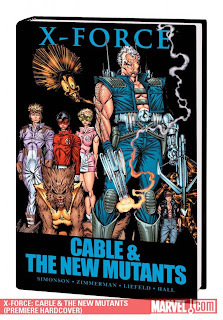 Plus: Thundercats, Josie and the Pussycats, the little-known movie superhero Pumaman, and a bonus beast, the Badger! 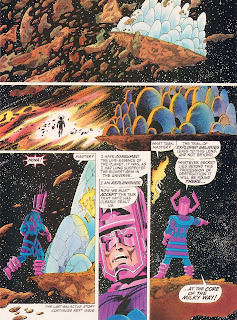 With art by and/or commentary from BRIAN BOLLAND, ALAN BRENNERT, ERNIE COLON, GERRY CONWAY, STEVE DITKO, STAN GOLDBERG, PAUL LEVITZ, AL MILGROM, Mystery Science Theater 3000’s MIKE NELSON, KEITH POLLARD, and more. 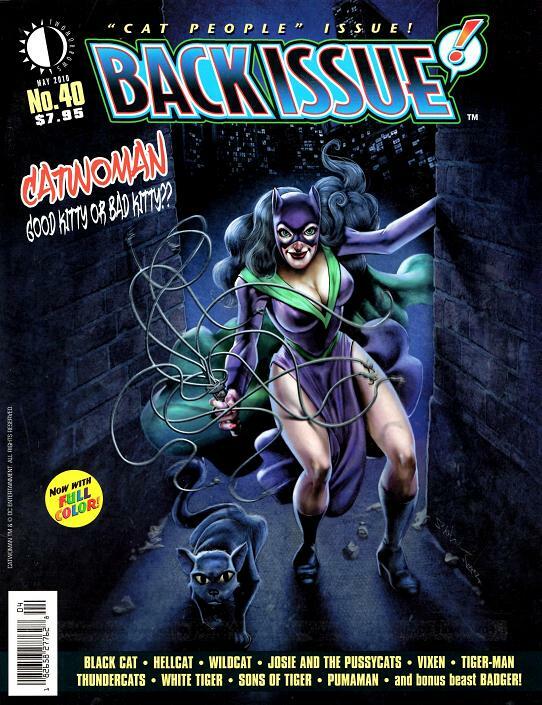 All under a Catwoman cover purrrrfectly produced by JOE STATON and FREDDY LOPEZ, JR.! Edited by MICHAEL EURY. Throughout the Spider-Man titles of the 1980s, the Black Cat’s life became intertwined with Spider-Man’s. As with all good characters, she was defined by her weaknesses and flaws and how she dealt with them. Her all-too human side was no better portrayed through her efforts to cope with a variety of psychological issues. To properly understand who the Black Cat is, let’s start at the beginning and explore the forces that shaped her." “See, thing was, altho Chris and I worked pretty well together, we were often at odds on who the characters were. As noted, until just a short time before I left the book, he had read no issues of X-MEN other than those produced during the Thomas/Adams run, and so, while I kept trying to maintain the characters as they had been for 60+ issues, he kept trying to turn them into other people. People I largely didn't like. 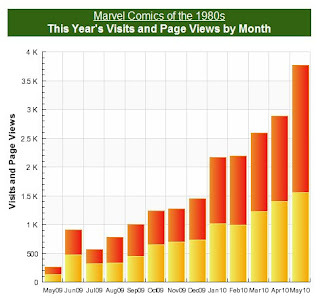 Whether you’re a Claremont fan or a Byrne fan, it’s still intriguing to ask what if. It’s interesting to see how Byrne’s plan deviates near the end of the Dark Phoenix storyline. Retelling the story behind the original ending to the Dark Phoenix saga and Jim Shooter is in my queue. I can't help but wonder how they would have brought back the original X-Men team back into the fold. Further down the list is the Sabretooth storyline which Byrne would have apparently revealed that Sabretooth and Wolverine were actually father and son. "In my mind, [Sabretooth] was created [with the intention of making him Wolverine's father]. I don't think Chris originally conceived him that way, but I said, 'Hey, here's another Canadian guy who has a lot of the stuff, so I'll just draw him in such a way that he could be Wolverine's father -- or brother.' I wasn't sure in the early days. I figure Sabretooth is 120 years old. 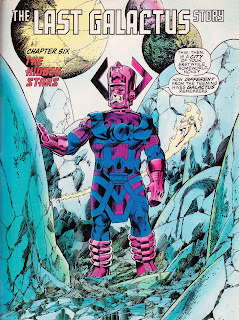 As I dug around, I came across another tidbit in that Claremont and Cockrum had originally meant to have Wolverine be an evolved creation of the High Evolutionary. Also, apparently Len Wein, Wolverine’s creator had Wolverine at 18 years old and his claws were actually in his gloves and not coming out of his hands. I fondly recall picking this issue up at the local conveniance store and reading the hell out of it. Rereading it, it still stands as a solid 1980s comic book and a good example of a significant event being told in the pages of one book. While I enjoyed Jim Mooney's work in the 1970s on Amazing Spider-Man, I felt his output in the 1980s had taken a step back. Perhaps with this issue, it had to more with the stiff poses layed out by Gruenwald's breakdown, who was always more of a writer than artist and would occasionally dabble as an artist (see Hawkeye miniseries). But, don't get me wrong, the art in this issue still works and in a few places, works very well, particularly with the panel layout and arrangement (see attached page #9). The story starts with a wonderful hook that just throws you into the story. 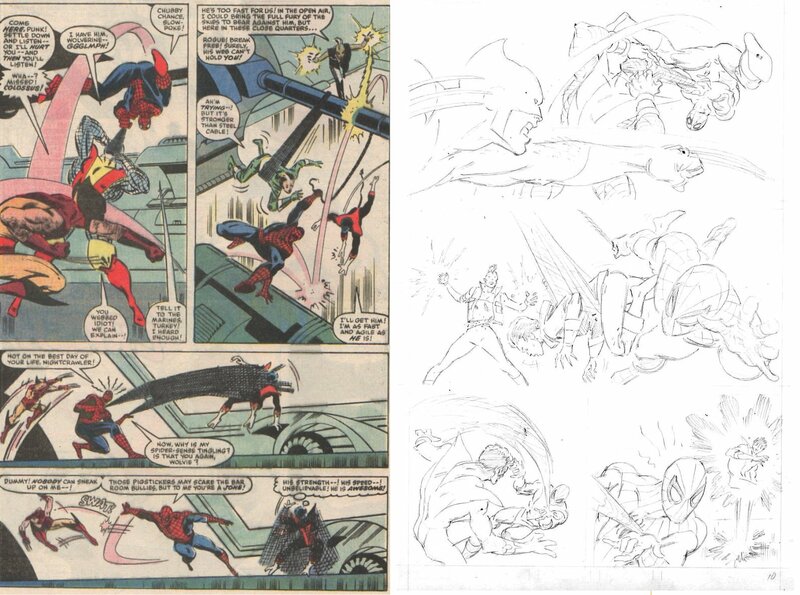 Gruenwald was no stranger to Quasar as he had co-written the later 1970s Project Pegasus run in Marvel Two-In-One. The story takes a little while to get going as the heroes are gathered and the backstory of the Serpent Crown is told (as Spidey drives to Project Pegasus with Dr. Strange in the passenger side!). But, from then on, it's a great ride throwing together a bunch of heroes who normally don't team-up together that often. Iron Man 2 was a lot of fun. The first film really set the bar high and this one didn't quite match it, but didn't do it a disservice either... It moved along quite while not hampered by having to tell an origin backstory. I was impressed with Mickey Rourke as he turned out a fine acting job. I also have a whole new appreciation for Scarlet Johansson. 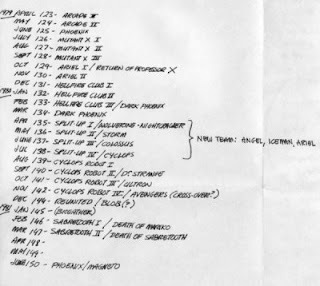 Nice to see some 1980s and 90s writers get some story credits, like John Byrne, Len Kamenski, and Kevin Hapgood. Make sure you stay through the end credits. Who killed Rachel Van Helsing (1982)? What organization wanted to hire and equip the Punisher during his miniseries (1986)? Who were wed in Fantastic Four Annual #18 (1984)? Which eye did Dr. Strange loose in the pages of Strange Tales (1987)? In which series did Cloak and Dagger debut (1982) and what issue #? Which Avenger was hyper-evolved and sacrificed himself to take down the High Evolutionary (1988)? Which romantic interest did both Cyclops and Magneto have in common (1981)? 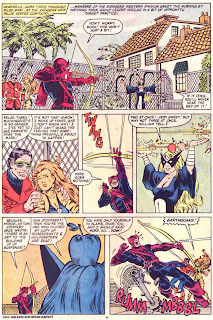 Which fromer hero did Mockingbird let fall to his death (1987)?